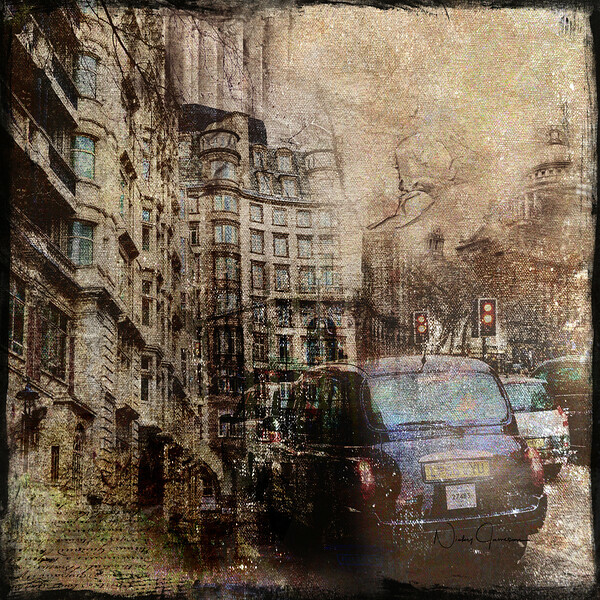 Moody Vintage created with several of my photos taken on and around Waterloo Bridge. I love to create moods and though I love to create bold, colourful original art, prints and canvas art, sometimes it is nice to be able to use a combination of artsy textures to distress the scene and create the mood that I want. The texture in this piece makes it a great candidate for canvas.